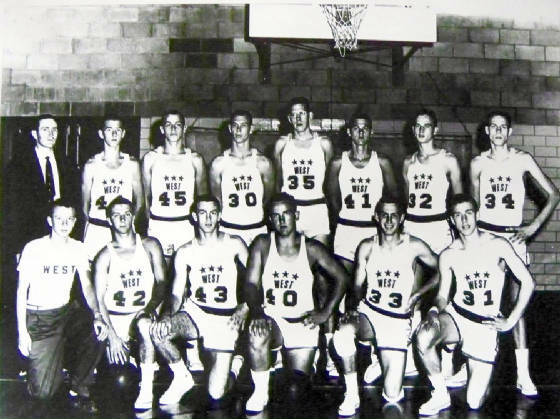 This photo is courtesy of Coach T. L. Plain of the 1956 Western Kentucky High School Basketball All-Star team that represented the best of the Western Kentucky High Schools in the Eastern-Western High School all-star games, that were held in various sites around the commonwealth. The 1956 West KY High School All-Star team won both games. This was the last year that this event was held.